Today in Masonic History Thomas Walter Bickett is born in 1869. Thomas Walter Bickett was an American politician. Bickett was born in Monroe, North Carolina on February 28th, 1869. His father would pass away when Bickett was just 13. Bickett graduated from Wake Forest College in 1890. After graduation, for a brief time, Bickett was a school teacher in two school systems in North Carolina. In 1892, Bickett attended the University of North Carolina to Study law. In 1893, he was admitted to the bar and opened up his own practice. In 1907, Bickett was elected to the North Carolina House of Representatives. In the House of Representatives, Bickett would be instrumental in passing a bill to improve the state facilities for treatment of the mentally ill. He also sought to establish the East Carolina Teachers Training School. In 1908, Bickett was elected Attorney General for North Carolina. 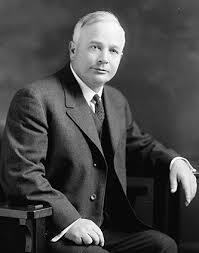 He served two terms until he received the Democratic nomination for Governor in 1916. He went on to win the general election to become the 54th Governor of North Carolina. Bickett was the first Governor in the United States to be nominated by means of a Democratic Party primary election. In January of 1917, Bickett was inaugurated as Governor of North Carolina. It was just three months before the United States entered World War I, presenting Bickett with the challenge of leading the state during the World War. During his term the state saw improvements in child welfare, public health, electricity, and running water. Bickett passes away December 28th, 1921. Bickett was a member of Louisburg Lodge No. 413 in Louisburg, North Carolina. He was also a member of William G. Hill Lodge No. 218 in Raleigh, North Carolina.